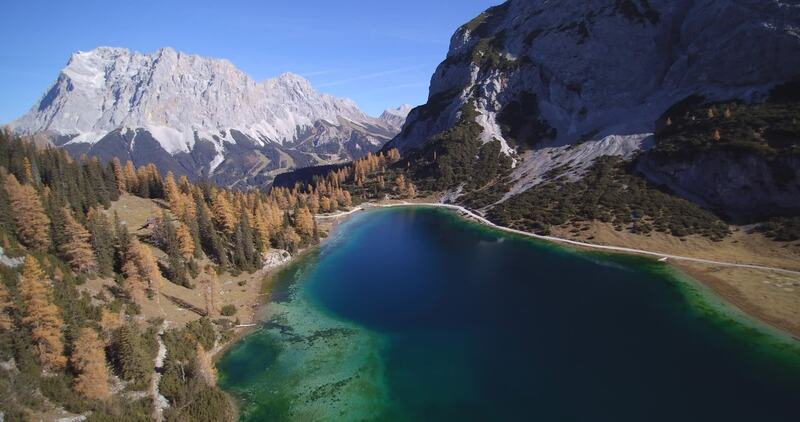 In this drone video by DJphotography, you'll get a beautiful bird's eye views of one of Austria's most spectacular alpine lakes as well as of the highest mountain in Germany. The Seebensee is located the Austria's mountainous Tyrol province. It's not far from the town of Ehrwald. The lake affords excellent views of Mt. Zugspitze over the border in Germany. This is Germany's highest peak, standing almost 3k meters (about 9.7k ft.) above sea level.